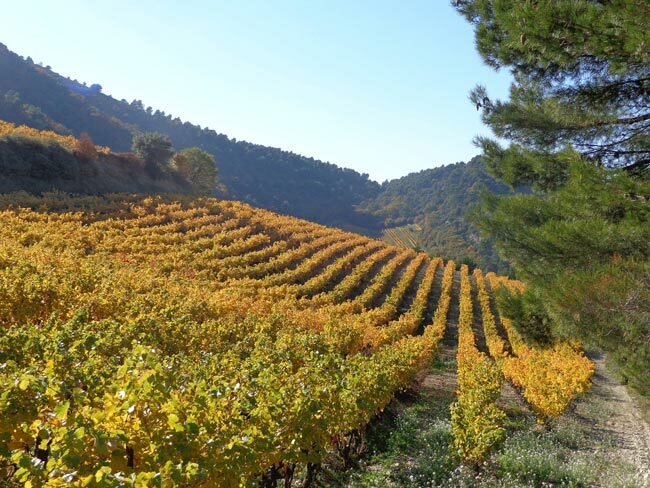 The luberon wines are believed to be as some of the nicest wines in Provence. Other than the famous Chateuneuf-du-Pape wines and the Côte du Rhône wines, the AOC Luberon wines are unique thanks to the very narrow selection of grapes used for its production, its fresh and fruity flavours (especially strawberry & gooseberry) rosé wines, that go from the palest to the most vivid pink colours ; its well-rounded and very fresh red wines and, without forgetting, its elegant and vivid white wines ! The occasion for you to discover thanks to a Provence walking holiday or Provence cycling trip in one of the most unique and emblematic features of Provence, in the beautiful hills of the Luberon where you will wander through its unique and impressive landscape, its quaint villages such as Gordes and Roussillon and, of course, its wine making areas! When did the Luberon AOC appellation come from? The AOC Luberon was first created in a 1988 and it was way to difference the wines of the Luberon, from the famous Cotes du Rhone wines, as many aspects of its soil, its landscape, its weather and its irrigation where very different. The AOC is a way to protect the very unique way of wine production in this area, and acts as a quality certificate for the buyers, as it guarantees its origin, its strict way and quantity of production. The weather has a major impact on the vineyards, as the Luberon is one of the most « sunny » places in France with approximatively 2600hours of sun per year! Thanks to its location, on high hills (between 250 metres and 600 metres high) it experiences hot and sunny day and mild if not cold nights. They are also the perfect temperatures for a Provence walking trip and, of course, a Provence cycling holiday! The AOC Luberon: how big is it? It is a small appellation that includes only 36 villages, in the Luberon Regional park/UNESCO biosphere reserve, in Vaucluse. The total superficies is of 2712 ha. There are 480 wines producers and about 50 wines cellars. What type of wines are produced in the AOC Luberon? The wines produced in the AOC Luberon have to follow a complex and strict recipe of selected species of grapes. They produce red, rosé and white wines. For the red wines, the blends are made of 60% of Syrah or Grenache grapes minimum, cinsault grapes up to 20% maximum and Carignan grapes up to 20%. For the rosé wines, it is the same blend, but you are allowed to add up to 20% of white grapes in the recipe. As for the white wines, a selection of ugnic blanc, grenache bland, vermentino…grapes that can add up to maximum 50% of the mix, and marsanne and roussoanes limited to 20% each. Enjoy a Provence walking tour or a Provence cycling trip to discover the rich wine culture in this region of France.